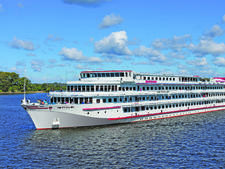 Specifically constructed for river cruising, Vodohod’s Konstantin Fedin is a four-deck ship named after a famous Russian novelist. 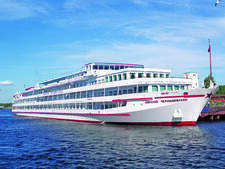 Built in Germany in 1980, Konstantin Fedin was fully refurbished in 2011, and has the capacity to accommodate 250 passengers. 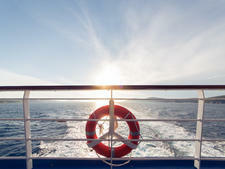 Onboard, there is a restaurant-bar, coffee bar, piano bar, solarium, souvenir shop and conference hall. 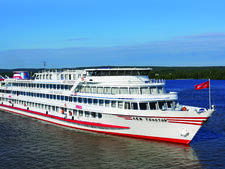 Konstantin Fedin features all outside cabins with air conditioning and en suite bathrooms. 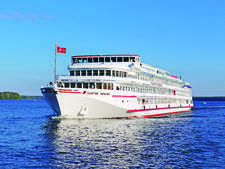 There are a variety of cabin classes onboard Konstantin Fedin -- ranging from single cabins to two-room suites. 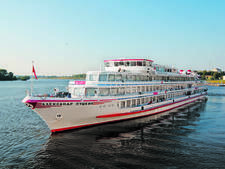 Entertainment onboard Konstantin Fedin focuses on performances and activities designed to offer passengers an experience of authentic Russian culture and history. There are live Russian folk music and classical music concerts. 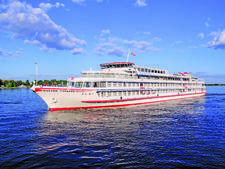 Additionally, passengers can take part in nesting doll painting classes, Russian tea ceremonies and a vodka tasting. 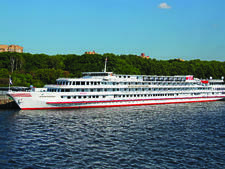 Konstantin Fedin sails between St. Petersburg and Moscow and shore excursions are usually walking tours to visit landmarks of these historic cities, such as their architectural wonders, museums and cathedrals. European cuisine combined with elements of Russian cooking form the basis of the culinary offerings onboard Konstantin Fedin. Breakfast consists of a buffet spread, while lunch is usually a filling meal centering around a hearty Russian soup. 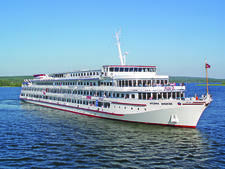 Dinner tends to be the time when the chefs onboard Konstantin Fedin pull out all the stops -- creating specialties from around Russia, which are served by waiters and waitresses in traditional local costumes.